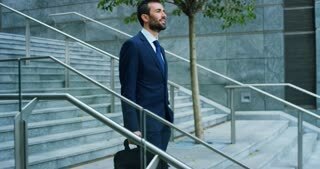 Young businessman standing near the modern office and talking with someone. 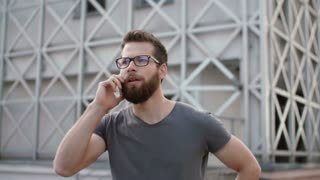 Stylish man uses smartphone to calling. 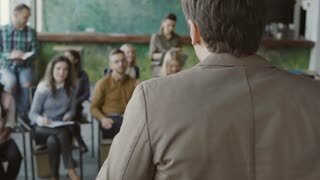 Young businessman standing in front of group of young people and talking. Business conference at modern office, seminar.